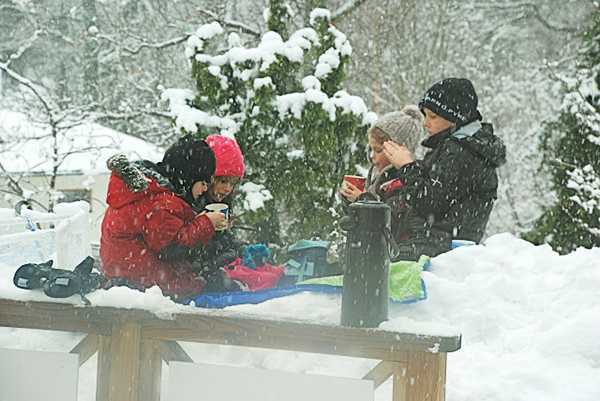 Backyard picnic tables are ideal for winter picnics with kids. Wipe the snow off and cover the seats with old blankets with water-resistant layer. Cover the top of the table with either an old blanket or heavy table cover. If you do not have a traditional picnic table, bring out any waterproof porch furniture, including a table. The idea of a winter picnic is to have snow on the ground. Build a fire with older children or use a safe porch heater for picnic with young kids. Prepare firewood ahead of time and store in an area where snow cannot reach it. Beach, nearby woods and parks are great locations for winter picnics. If you choose to enjoy a winter picnic in a location that is not on your own property, be sure to know the laws regarding building a fire. 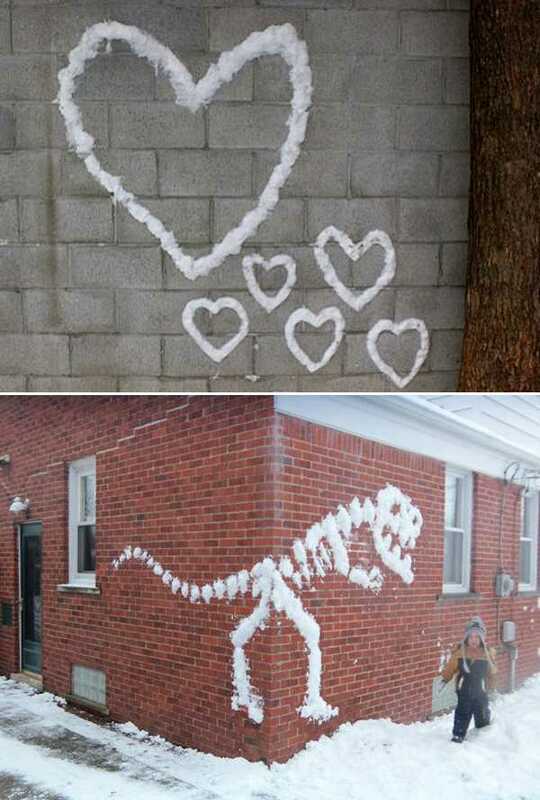 Winter is fun. 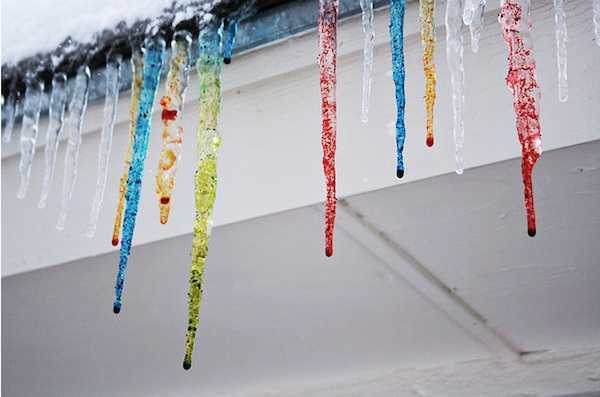 Chilly afternoons can be enjoyed with exciting outdoor games and art projects that create unusual and interesting decorations for your winter backyard and garden. 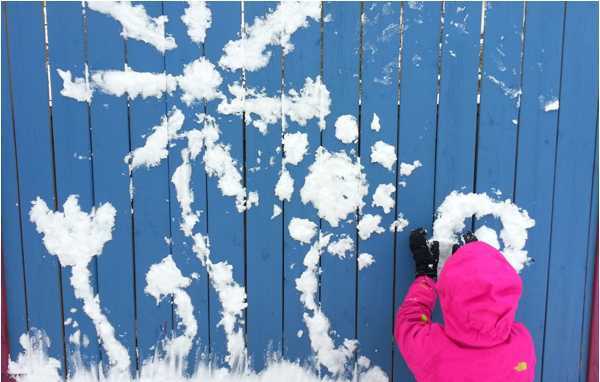 Making snow sculptures and snow drawings on walls and fences, coloring icicles and designing unique outdoor lights are great winter backyard ideas for kids and adults. 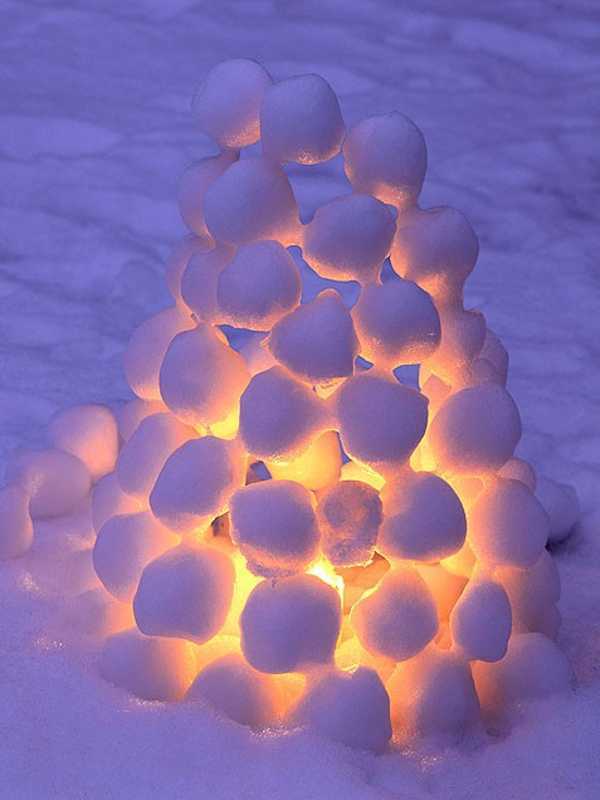 Light and safe for young kids, handmade snowballs can be created with fabrics and yarn. Everyone at the winter picnic in the snow will want to have their hands warm, but mittens and gloves can be cumbersome when eating. Fingerless mittens for each person attending the picnic is a great idea. They keep the hands and wrists covered, but allow the fingertips to use a spoon or grasp a cookie. 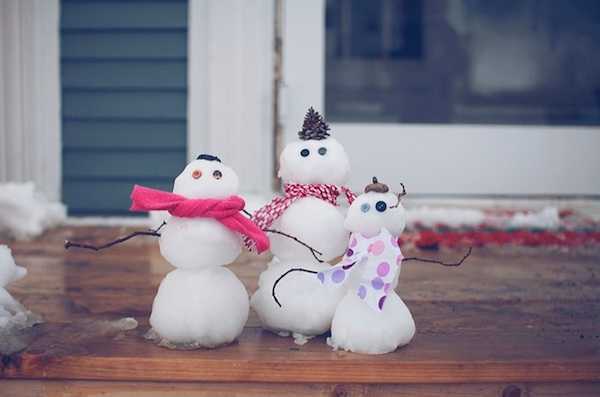 Bundle up the kids for some fun outdoor winter activities that will get their hearts pumping. 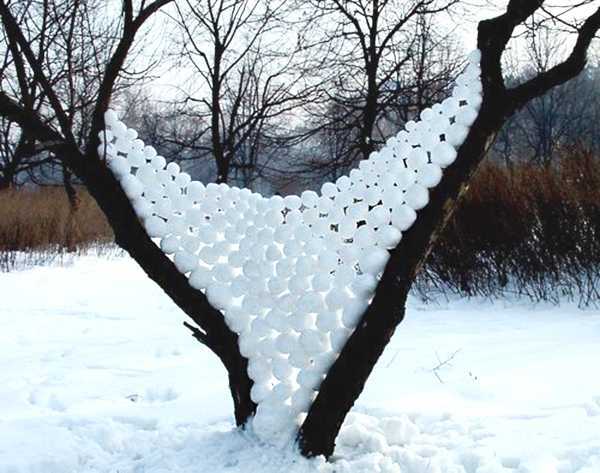 Outdoor games and art projects are a great way to exercise also. 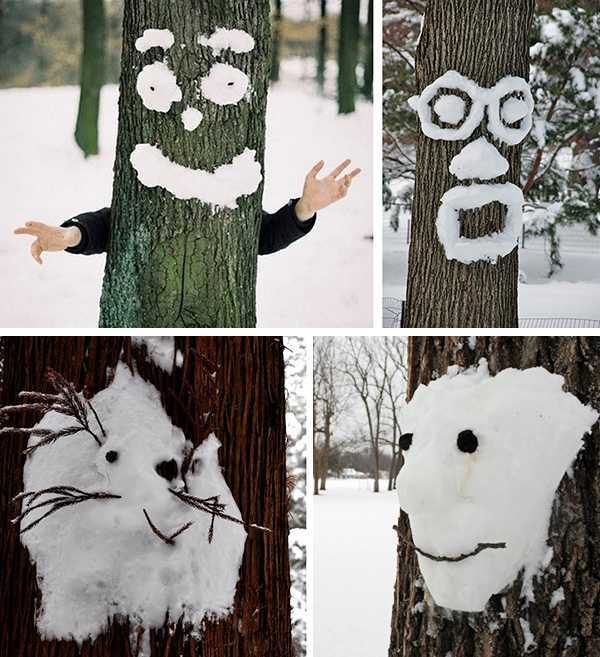 Want to wow your kids with a fun art project that creates pretty snow decor for your backyard and garden? 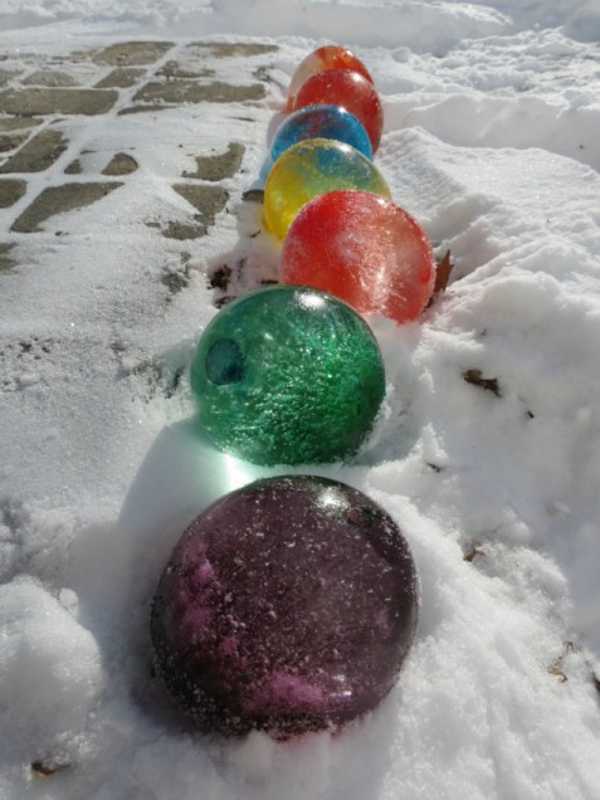 Make fantastic snow sculptures and outdoor lights of snow balls, create vibrant ice balloons and wonderful snow drawings. 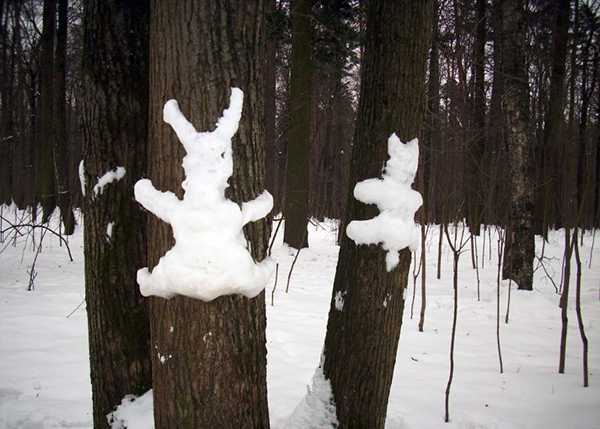 Outdoor snow games are great excise and mood boosters. Build a snowman ow snow fort together. 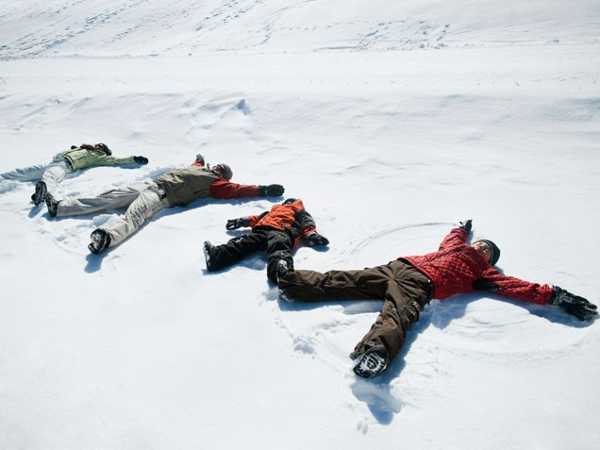 A snow ball fight is an exciting activity, while making snow angels in the snow allows kids and adults to relax. Music will add energy to your winter picnic.